There are many types of problems that may occur on your air conditioner. Because of this reason, you need to take a look at all possible reasons of your aircon issue. In certain cases, your aircon unit may form ice on the unit. This ice formation can be caused by many different factors. It is recommended for you to stop this ice formation as quickly as you can, so you can reduce the risk of getting any other problems in the future. Here are some common factors that can cause the ice formation on your air conditioner unit in your property. This is the most common factor that can cause ice formation in your aircon unit. When your filter is dirty, it is not able to function normally and effectively. As the result, the cool air is going to be accumulated in the system. When this situation occurs, the ice formation is going to be formed inside your unit. There are many factors that can cause dirty filter. Irregular aircon cleaning is believed to be one of the most common factors that can cause dirty filter. It is recommended for you to clean your air filter inside the aircon unit regularly. When it is necessary, you can clean this filter at least once a month. Regular filter cleaning procedure can help you reduce the risk of ice formation inside your air conditioner unit. If your filter is damaged, you also need to replace this broken unit with the new one. Replacing your filter can help you improve the overall performance and function of your air conditioner effectively. When you have ice formation in your unit, you should take a look at the refrigerant level in your air conditioner. This ingredient is very important to control the temperature inside your air conditioner. When your aircon unit doesn't have enough refrigerant, it is going to have unstable temperature inside this unit. This unstable temperature is going to form ice regularly. 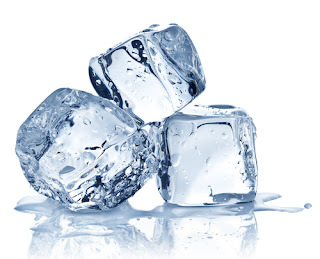 When the refrigerant is very low, the cold coil inside your aircon is going to produce ice. If you want to solve this problem, you need to check the refrigerant level regularly. Make sure that your air conditioner has enough refrigerant, in order to avoid getting any problems in the future. Don't forget to fill your air conditioner with the right refrigerant solution, especially when your unit is running out of the refrigerant solution. This is another common factor that can form ice on your air conditioner. Humid weather can convert water vapour into fluid on the surface of your aircon unit. This fluid is going to be accumulated in the drip pan of your unit. Because of this reason, this situation is going to accelerate the ice formation on the surface of your unit. When you feel that the humidity level in your room is increasing, you can start turning on your dehumidifier unit. This unit is very useful to dry up humid air inside your property effectively. When you are able to reduce the humidity level in your home, you should be able to reduce the risk of getting ice formation in your air conditioner unit. When you have this problem in your air conditioner, you are going to see ice formation in your unit regularly. Blocked drain system is going to reduce the possibility of all water or solution to flow well inside your unit. This situation can increase the risk of getting ice formation inside your air conditioner. When this situation is not treated well, it is going to cause many other problems that may occur on your unit. If you want to check your air conditioner, you should open the closing or protection part of your unit. Don't forget to check the overall drain system inside your aircon unit. You need to open any blocked drains or pipes that may occur inside your air conditioner. When it is necessary, you also need to replace some broken or blocked pipes inside your air conditioner unit. When you have ice formation on your unit, you should take a look at this factor. Insufficient compressor can increase the possibility of ice formation on your air conditioner. When your compressor cannot work normally, it is unable to pump the refrigerant solution properly. As the result, the cooling coil is going to refrigerate immediately. As the result, the ice formation is going to start from the cooling coil. You need to replace the unstable compressor with the new one, so you are abel to get all benefits from this part of your air conditioner. If you cannot replace this part by yourself, you can contact the best aircon repair service in Singapore these days. This service is ready to help you restore the overall condition of your compressor effectively. This is another common cause of ice formation on your air conditioner. When you have unstable thermostat on your unit, you are going to lose the ability to control the temperature of your unit. As the result, your air conditioner is going to decrease its temperature rapidly. This situation can lead to the ice formation on your unit. When you feel uncomfortable with the thermostat setting in your aircon unit, you should check the thermostat inside your unit. It is recommended for you to replace this part with the new one, especially if you want to control the overall temperature of your air conditioner easily. Replacing your thermostat can help you reduce the risk of getting ice formation inside your unit effectively. It is recommended for you to follow some of those tips, in order to reduce the ice formation in your air conditioner. If you still have any difficulties in solving this problem, you can contact the best aircon repair service in this country today. This service is ready to help you solve your ice formation problem on your air conditioner effectively. Don't forget to monitor the overall performance of your air conditioner, in order to get all benefits from this unit.